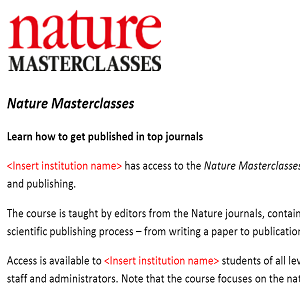 Subscribe as an institution to the Nature Masterclasses online training and use these promotional resources below to tell your researchers. 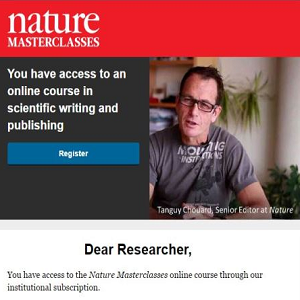 Email your researchers to encourage them to make the most of their course access. View sample emails. Create a page on your website to promote your subscription. View our recommended text. 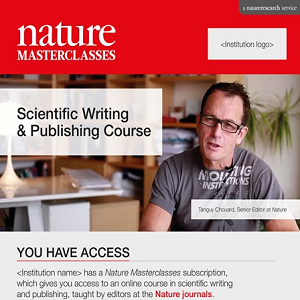 Request a free presentation from the Nature Masterclasses team to launch your subscription. Learn more. 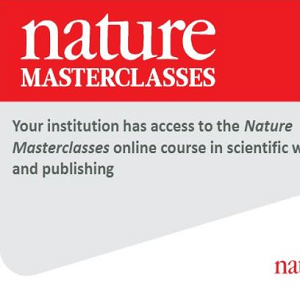 Remind your researchers about the course by placing this poster around your campus. Download from Dropbox here. Use social media to promote your subscription. 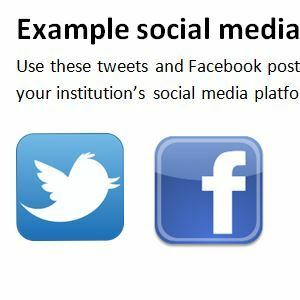 View our example Facebook posts and tweets. Promote your subscription through this promotional video. 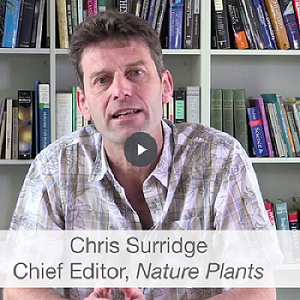 Watch the video and get the embed code. 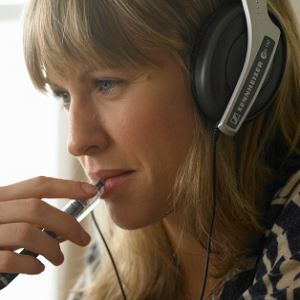 Engage your researchers with the course by delivering this PowerPoint presentation. Download from Dropbox here.